SOLD the Set at $20.00 plus $3.50 shipping. 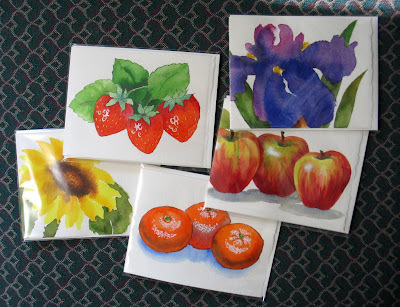 I've had some orders for cards, so have been busy with watercolor here. The cards are available in my Etsy shop, but I figured I'd offer a set here. Blank inside, blank envelope, cello wrapper, signed on the back.